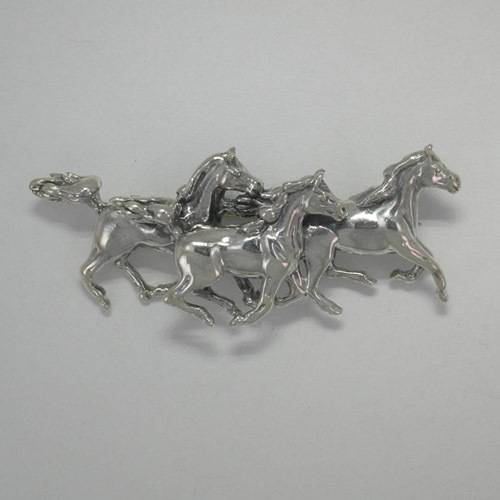 Desc: Sterling silver three galloping horses brooch. 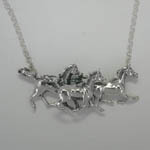 Three Arabian horses are galloping along together. The manes are flowing and the tails are held high. The brooch has a bright polish finish. Made in the United States of America. We have a matching necklace, see SK856.